How to Develop an E-Commerce Mobile App? It wasn’t earlier super common to find retailers or vendors having brick and mortar commerce area as well as e-Commerce apps for selling their services. But as soon as consumers inflected more towards mobile devices, phones and tablets, to acquire goods and services, the choice of having e-Commerce apps turned into an inevitable necessity. According to eMarketer estimates, retail e-Commerce sales reached $2.3 trillion in 2017, a 23.2 percent increase over the previous year. The mobile share of this stood at 58.9 percent, or $1.4 trillion. 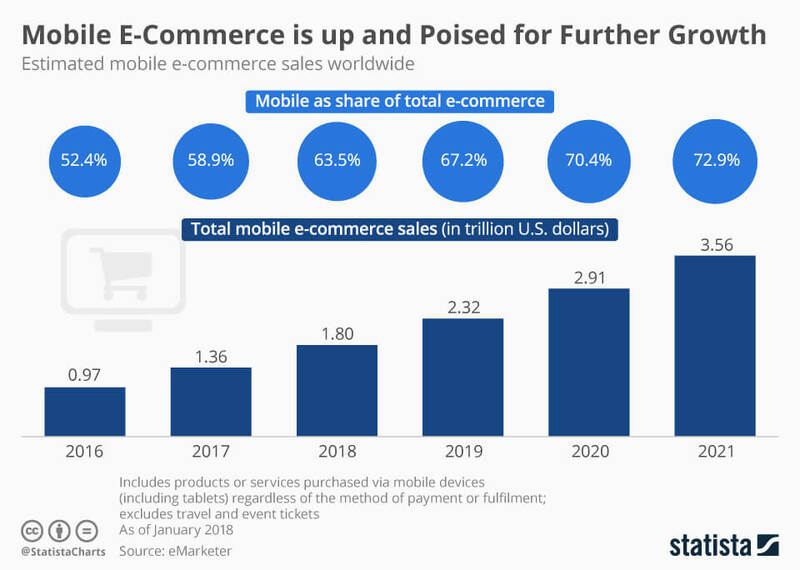 In 2021, mobile e-Commerce could rake in some $3.5 trillion and then make up almost three quarters (72.9 percent) of e-Commerce sales. 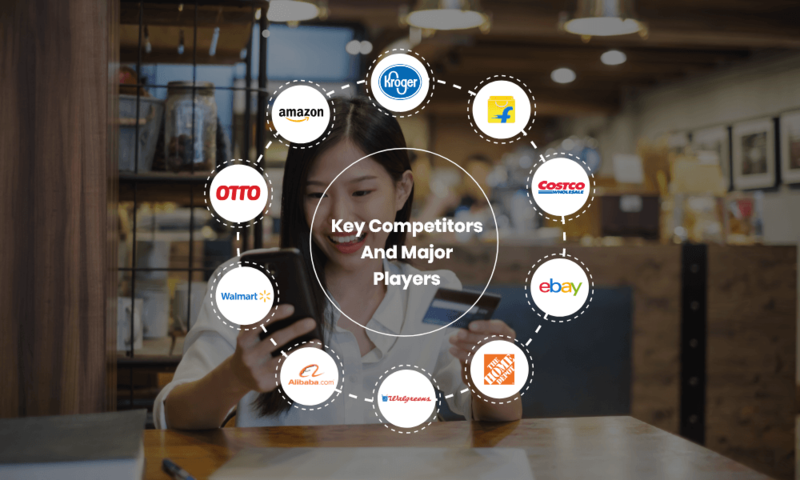 In order to democratize the on-door delivery services and to bring convenience at the doorstep of the consumers, every retailer out here looks for an extended superpower that can help them in simplifying the supply chain management, automating operations and managing deliveries. In such exigencies, e-Commerce apps come as the biggest rescue. E-commerce apps lure shoppers with a variety of deals, offers and a wide range of products and services to choose from, speeds up the buying and selling of goods while saving a big chunk of time. Furthermore, it minimizes the recurring cost by hiring virtual support resources and provide the customers' flexibility to buy product 24/7 anytime anywhere. 1. 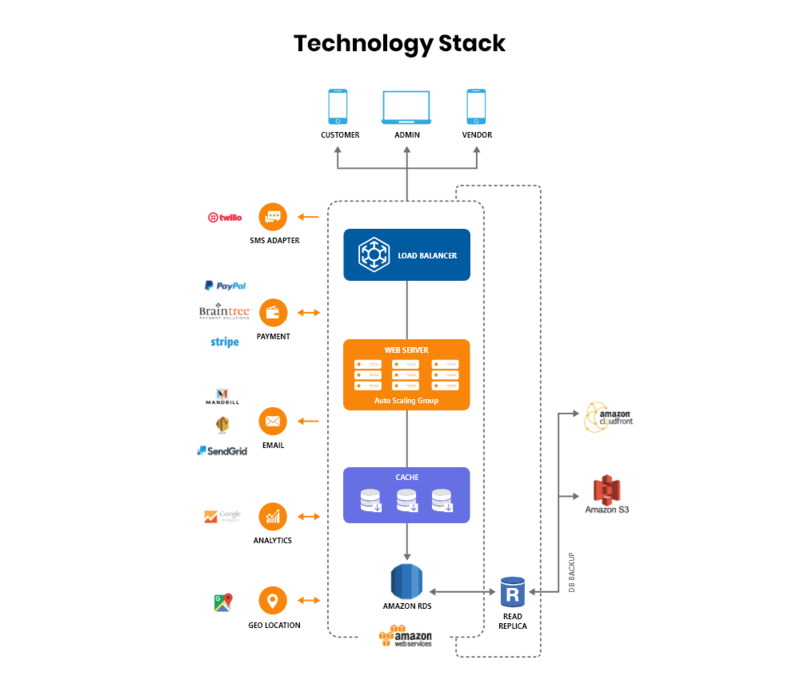 Aggregator Model: Aggregate retailers, vendors in a mobile app/website. 2. Retail E-commerce App: Build an app/website for your own retail chain. Sign up/login: User can create an account with details like name, email id, mobile no., password, confirm the password. Social login: Makes the signup process convenient by enabling users to log in through their social accounts like Facebook, Instagram. Profile Creation: Users can create their profile by entering all the vital information like name, email, DOB, state, country, phone number and address. Find stores: Users can find all the listed stores and search the products. View product list with images: User can view product list with image, price and brand. Search by products, brands and other filters: Users can search product items, filter products (with price, brand type, ratings, & reviews), view product details. Product comparison: Users can compare product features, price, ratings, delivery time and find the best product at best rates. Add to cart: Once the product is finalized, users can add products to the cart. Add product to wishlist: If the users want to save the product for later buy they can add them in the wishlist. Coupons, Offers: Users can check and apply coupons, check offers, loyalty programs and discounts. Multiple payment options: Users can make payment through credit/debit cards, online banking, and wallet payments. Track shipment: Users can track shipment status- if packaged, dispatched, or on the way. Push notifications: Users will get push notifications for product offers and delivery status. Voice search and image search: Users can also search the products through voice and image. This comes under advanced functionality. Register/Login: Vendor/seller can register his/her business. Set up an online storefront: Vendor can upload his/her varied product collection online. Manage orders and catalog: Vendor can manage orders (receive order request, check availability, send the invoice to admin) and the catalog (add products). User review: Vendor can check user’s ratings and reviews. Reporting & Analytics: Vendor can check the reports (like the number of products sold, product viewed, the frequency of visits, users’ bounce ratio etc.) and extract meaningful insights to better understand and improve business performance through strategic decisions. Push Notification and Alerts: Push notifications can help buyers and sellers both by alerting users about new deals, product launch, discounts, offers and more. Login: Admin can log in by entering the set username and password and keep the account secured. Admin dashboard: Dashboard helps admin in checking no. of active users, no. of active sellers listed in the app, no. of active orders, products dispatched and manage them on the go. Manage buyers/sellers: Admin can activate/deactivate users registered on the app, message them personally and broadcast the messages. Manage promotions, reward points: Admin can manage customer reward points generation and in-app promotions. Manage payment: Admin can check the total earnings and set commission rates to be taken by the vendors. Manage referral/invites: Admin can set up and manage programs to incentivize customers. Reports and Analytics: Through reports and analytics tool, admin can drive strategic actions by extracting meaningful information from the reports generated and take necessary business action for better performances. Ratings and Reviews: Admin can manage customer ratings and reviews by enabling/disabling them for certain products. The cost to develop an e-Commerce app generally depends on the number of features required, the complexities involved and total hours employed in developing those features which further depends upon the per hour cost the mobile app development company charges. Nevertheless, the tentative cost to develop an e-Commerce app costs around $27000 – $34000! Given, the app development charges are $30/hour. HOW MUCH DOES CODIANT COST TO DEVELOP AN E-COMMERCE APP? Codiant is a pioneering Mobile app development and Custom Web Product Development Company that offers cutting-edge customized iPhone, iPad and Android app development services, UI/UX Development, Enterprise Mobility Solutions, and Application Maintenance Services across various platforms. 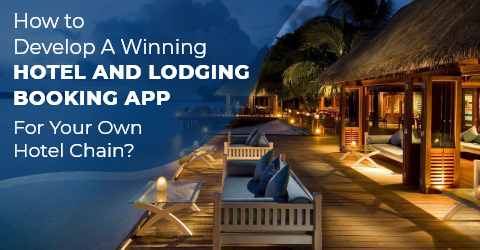 How to develop a winning hotel and lodging booking app? How are google plus codes simplifying last mile delivery? 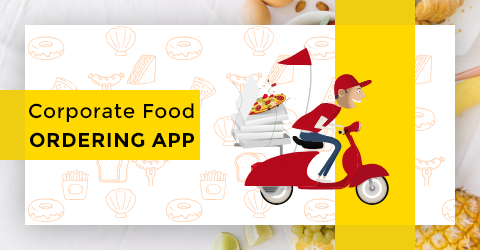 How to make online corporate food ordering app? Retail battlefield: how to win the new age customers?